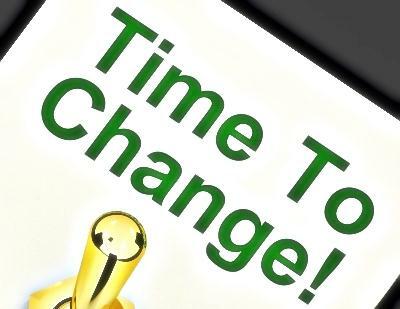 Change Management - The New HR Buzzword | Business Article | MBA Skool-Study.Learn.Share. “Change management is the continuous process of aligning an organization with its marketplace- and doing so more responsively and effectively than competitors.” This definition was given by change management experts Lisa Kudray and Brian Kleiner. It was given almost two decades back, in 1997. This definition focuses only on the competitive part of change management; how change management helps to deal with the external stakeholders of the organization and the competitors. Then came the ‘Systematic Process’ definition of Change Management in 2007, given by the Society for Human Resource Management in their Change Management Survey Report. The report defined it as a formal process of organizational change, including a systematic approach and application of knowledge. Change Management means defining and adopting corporate strategies, structures, procedures and technologies to deal with change stemming from internal and external conditions. Regardless of how ‘change management’ is defined, managing change begins with a change problem. Some of these change problems are ‘process-focused’, some are ‘means-focused’, while some, ‘end or outcome focused’. Basically, they have to do with the ‘how?’, the ‘why?’ or the ‘what?’ of change. Let us try and understand the methods to determine the change problem with the help of the following table. How do we make employees more accountable? How do we make the transition from System A to System B? What are the standards that should apply? What indicators will signal to more profits? Why does productivity need to be improved? Why should Flexible Working Hours be incorporated? These types of questions are ‘means-centred’. The goal state is implied. These questions aim to determine the process of achieving the goal state. These questions determine the end. While asking these, the means to define the goals are momentarily ignored. These questions seek to understand both, the ends and the means to get there. They form a chain of network until the root purpose is reached to. Employees in the core Systems and Operations teams tend to focus more on how questions because they are process oriented. Here, these teams coordinate with the HR teams to achieve the answers to the ‘How?’ questions. People in the buffer units, such as people in the support functions ask these questions as they are responsible for performance through planning. People in the top management ask these questions. Generally asked by senior executives who have very less responsibility of the day-to-day operational functions. The senior management is more focused with the strategy behind the change and why the change will improve the success of the organization. Treating each change initiative as a unique problem is a flawed approach to dealing with change. Organizations that take this route fail miserably to achieve scalability in their change management efforts. The best way to go about this to build standard change management approaches and alter the components to fit specific change management scenarios such as M&A, cultural change, technology change, reorganization. To understand how change plays out in a real-world corporate scenario, we would study the General Electric model of change management. Business leaders frequently omit the HR from the M&A equation. This puts HR in the reactive stance and prevents them from strategically managing the human capital risks that often reduces if not nullifies the potential value in an M&A deal. Injecting human capital risk discussions in the initial stages of an M&A process will help in analysing and instituting flexible staffing structures that can distribute and redistribute resources to the different and often unpredictable requirements of different deal phases. The change management process during an M&A deal happens across five stages. Under this stage, it is imperative to gain early insights into the strategic objectives of the deal, while at the same time that HR has the necessary skills and processes in place to support these objectives. Here, assessment and identification of human capital risks that impact valuation of the target and implementation planning takes place. It is necessary here, to prepare proactive responses to identify human capital implementation risks. Under stage 4, the continuous monitoring of key talent metrics related to performance, retention and engagement to respond to emerging human capital risks that impact value capture is carried out. It is crucial to assess HRs’ performance post-integration and capture lessons learned to ensure improved future performance. Corporate culture is the environment that shapes and influences people and the nature of their interactions and efforts within an organization. It is strongly influenced by norms associated with management, behaviour and communication. Getting it right is the trick here. Knowing the intangible nature of culture, it often leaves organizations unsure as to how to define, reinforce and measure the right culture. The cultural change process can be divided into three very basic steps: Preparing for cultural change, implementing cultural change and monitoring cultural change. The involvement of the entire workforce in assessing the existing organizational culture is extremely important. Employees are more likely to believe in and support new company values if they are involved in the development process. Organizations use a wide variety of tools for obtaining employee feedback such as surveys, employee interviews and focus group discussions. Among these, surveys are the most commonly used cultural assessment tool as it can be easily administered to a large segment of people. Monitoring change implementation starts with identifying the change resistors and the challenges faced during implementation. Conducting meetings and training sessions to engage these change resistors and showcasing how these new behaviours, approaches and attitude have helped people improve performance; identifying mistakes made during the change implementation phase and taking immediate action to correct them is required. To prevent implementation failures, continuous monitoring gaps with the new organizational values and proactively altering cultural implementation activities should be done. HR typically focuses on and deals with the up-front issues associated with technology improvements, but user adoption of technology is often low due to lack of post-implementation support. Technology change deals with actively collecting usability feedback on the system from employees and continuing to provide training after the change has been initiated and not just before it. Even the most well-chosen of organizational designs can fail to achieve desired outcomes if they are not implemented effectively. To support a smooth transition and set a new design up for success, identifying and involving key leaders in the process of change management decisions and providing tools and resources to support communication around the change will enhance the organizational structure and design. It is necessary to identify change management with both, financial and talent management metrics at the beginning of a change that aligns align with the strategic goals of the change, and then measure and manage against these metrics throughout the change management process. The corporate scenario has never changed faster and a well administered change management process is the antidote to chaos, confusion and losses, be it economical or human resource related. Change management focuses not only on the early successes but also the long-term wins. It helps in identifying process changes for the next project at hand. Thus, change management is an ongoing, continuous improvement for an organization and ultimately leads to change competency.